Would you like to win a $2,500 scholarship? 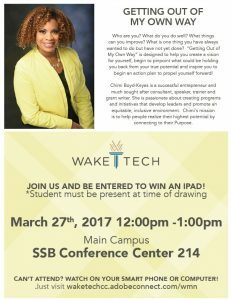 Visit: idol.waketech.edu for full details. Auditions for Wake Tech Idol Season 6 are scheduled for September 19th, 20th, & 21st at the Southern Wake Campus and Scott Northern Wake Campus. For building information, visit idol.waketech.edu. Contestants will have one minute to “Wow” the judges. Registration will close 30 minutes after auditions begin. Come prepared to sing acapella or self-accompanied. Must be in good academic standing, GPA of 2.0 or higher. 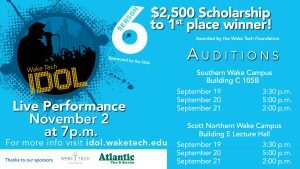 The top ten contestants selected from the September auditions will advance to the live Wake Tech Idol Finale to compete for a $2,500 scholarship and the title of Wake Tech Idol Season 6 Champion. Two runners-up will receive $750 scholarship each. Feeling Stressed? Overwhelmed? Tired? Unhappy? This is a 3 session workshop involving basic yoga/body movements, progressive muscle relaxation, open discussion, and self-exploration. Each session is one hour and limited to 15 participants. Students do not have to attend each session, although it is recommended as each session will cover different topics. Students must sign up for the sessions they would like to attend. 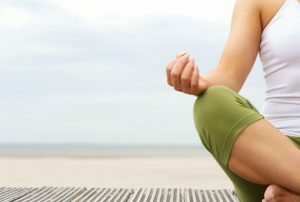 Comfortable clothing is recommended as we will be practicing simple yoga movements and deep breathing. No previous experience with yoga needed. At the end of the series, one winner will be announced for a 1-year subscription to the Calm App and giveaway bag! 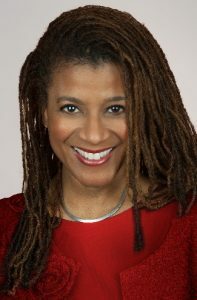 Guest speaker Traciana Graves, founder of Say Something Beautiful and Project Bully Free Zone, will be presenting a highly engaging presentation that tackles issues facing campuses today in creating a safe campus environment that appreciates, respects, and encompasses all demographics. 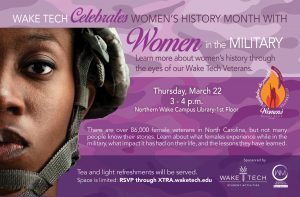 The first 125 students who register, will be provided lunch and a free t-shirt! Please bring Student IDs for check-in. Explore a career within the Non-Profit Sector! 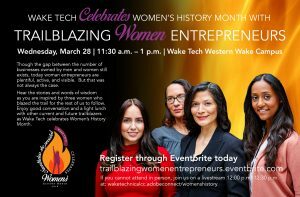 Network with local business leaders to discover their personal journey to various professions within non-profit work! Do you have a passion for serving others? Want to spend your spring break giving back? Come serve on this year’s Alternative Spring Break! *Only those interested in fun, service, and community building should apply. 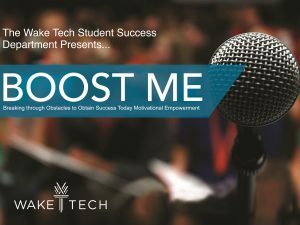 Fostering Bright Futures, the Student Success Department, and Pathways Male Mentoring Services presents the 3rd Annual “BOOST ME” (Breaking through Obstacles to Obtain Success Today Motivational Empowerment) Summit! 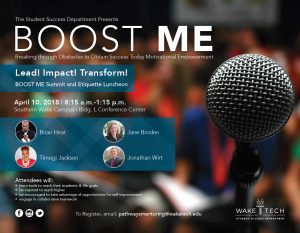 Experience a half day packed with motivating and inspiring male and female motivational speakers, featuring a special female empowerment session! 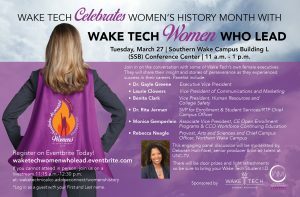 We will also have Wake Tech alumni to speak! 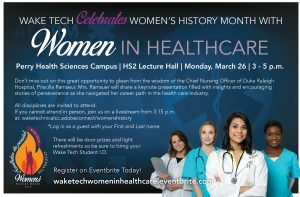 A light breakfast, lunch and door prizes will be available for you! If you plan on attending and would like breakfast and/or lunch, you must RSVP so that we can get a proper head count. 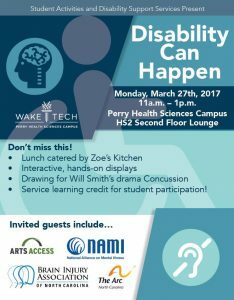 Feel free to email us at pathwaysmentoring@waketech.edu if you have any additional questions. When: Friday, April 7 at 9:00a.m. Over the summer of 2016 the Wake Tech 3D Printing Lab moved from it’s temporary location in the Main Campus library to its permanent home in COS 120 (next to Ready Hall Entrance).